Re: Triumph Studios/ Paradox Games to release Age of Wonders: Planetfall! Triumph's Creator Engine is pretty darn powerful. Takes a beast of a machine to run the dev engine, but you can do a lot with it. You remember me right? Mr. Critical. But, judging from aow3, this should be good, even if, judging from predecessor, it's AI might not be perfect, or it's factions/classes entirely balanced. Here's to hoping it improves on it's predecessors - which I think it will. I'll probably buy it when it comes out, at full price, just to support the developers. I still play aow3 (and I haven't even bothered with multiplayer yet). I don't think it's campaign was quite as good as aow1&2, but i think it was "on it's way" towards recapturing that. It needs a good AI. I don't know if Planetfall will have the same ideological depth as Alpha Centauri, or a political side. I mean, Alpha Centauri has a Chinese Legalist! MY FAVORITE TOTALITRIANISM, and real-world to boot. But, it does say Planetfall has governing doctrines, and based on it's predecessors, it could also end up with a great sci-fi lore. I don't have much bad to say about Paradox. Again, I just think it'd be cooler if the politics were fleshed out, which is something the Kaissereich mod does for Hearts of Iron. But an article suggests they're leaving Triumph at the helm anyway. Unlike Beyond Earth, article suggests unique factions. But, it's on the basis of technology rather than ideology. It will be like aow3. 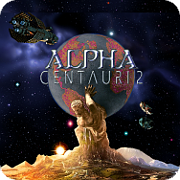 I think it will be a very different kind of game from Alpha Centauri. But I also think one can be optimitic for it, and I hope the forum and AC2 community can make way for this game, with a show of future activity and modding. If it had a branching tech tree and ideological/political depth and choices, I'd call it AC2. Now, I am usually a late adopter. My playtime is limited and I got out of the whole "must have tons of games" with the days of the Atari 2600. One concern I have is Paradox's tendency to make twenty tons of DLC. Now, an expansion or two is okay because you can usually hold off and get a sweet deal on a bundle like I did to get Golden Realms and Eternal Lords for AoW3 before Paradox bought Triumph. But have you seen the price in Steam to get all the stuff for, say, Paradox's Europa Universalis? Friggin ridiculous! Yeah, I know once you plop down that much, you have diplomacy and tactics NO 4x can match. But that's WAY too much and prices me out of the market.